Vaishnav was inducted into Google’s the Hall of Fame in June for pointing out that content can be posted via backdoors through fake ids. Image for representational purpose for Google. KANNUR: A Hall of Fame recognition should have a ‘been there-done that’ feel for Vaishnav NK. And yet, for the 23-year-old techie from Pallur, near Mahe, earning a place in the Hall of Fame at Google, a recognition given to ethical hackers for pointing out bugs in the devices and domains on their website, is special. In fact, the cybersecurity engineer (ethical hacking) at Infosys, Chennai, is unflagging in his passion though he been featured on the ‘hall of fame’ of around 50 companies, including IT giants such as Apple, Samsung, Microsoft, Sony and Dell. Vaishnav was inducted into Google’s the Hall of Fame in June for pointing out that content can be posted via backdoors through fake ids. Bypassing ‘authorisation’ to post content on behalf of other user id is the technical term for the flaw he pointed out. “Since thousands of people try hard to get into the revered space by finding out the holes in the system, it is considered a big achievement and it gives me immense satisfaction,” Vaishnav told Express. 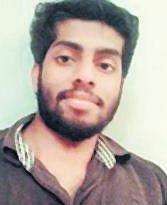 Right from his college days, as a BTech student at Puducherry, Vaishnav had an interest in ethical hacking and spend hours in front of the computer learning the ropes. “Apart from being lucrative, the skill is a huge plus on a CV,” said Vyshnav. His passion for the subject made him wait 10 months, after the end of his course, to find a job suited to his interest. The position in the Hall of Fame is based on the seriousness of the issue pointed out. Those who earn their place will always be retained, though their position moves around depending on the induction of more people. In June, Vaishnav was placed on the third page, now he has moved to page seven.